Adding 3d printed items to your cart may result in a shipping delay of 1-2 working days. Aggiungendo oggetti stampati 3D al vostro carrello potrebbe ritardare la spedizione del prodotto di 1-2 giorni lavorativi. 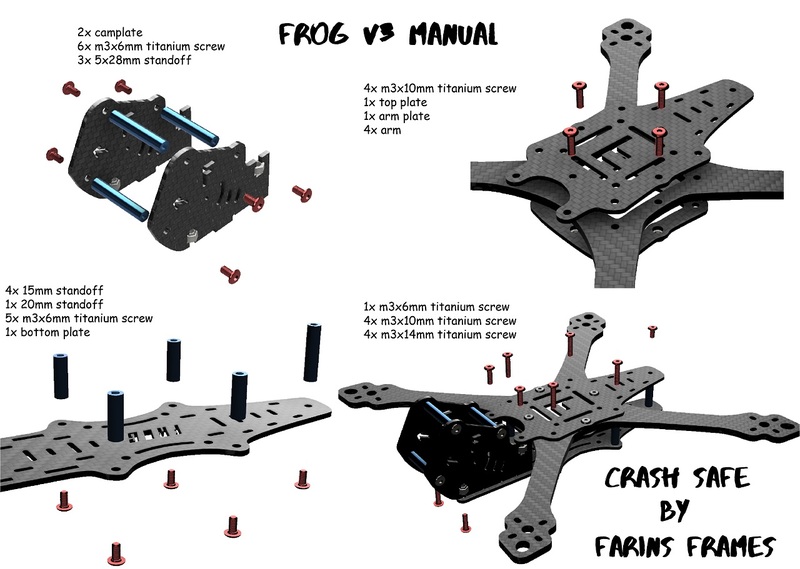 Designed with freestyle in mind, the Frog V3 it's the third iteration of the series! 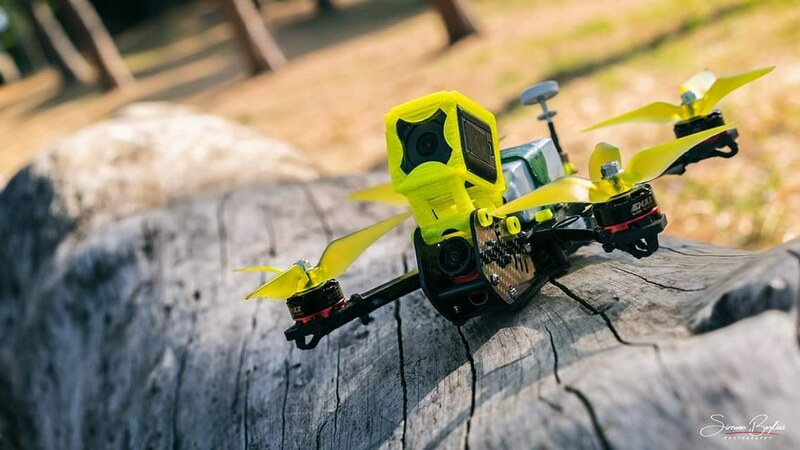 Thanks to the, low rider top mount battery, which is at the same height of the motors, the Frog V3 guarantees the perfect weight distribution, giving the ultimate flying experience to the pilots, not matched by its "traditionally" designed competitors. Do you wish to forget about prop wash or oscillations due to a bad weight distribution? Then choose Frog V3, and forget about everything else! 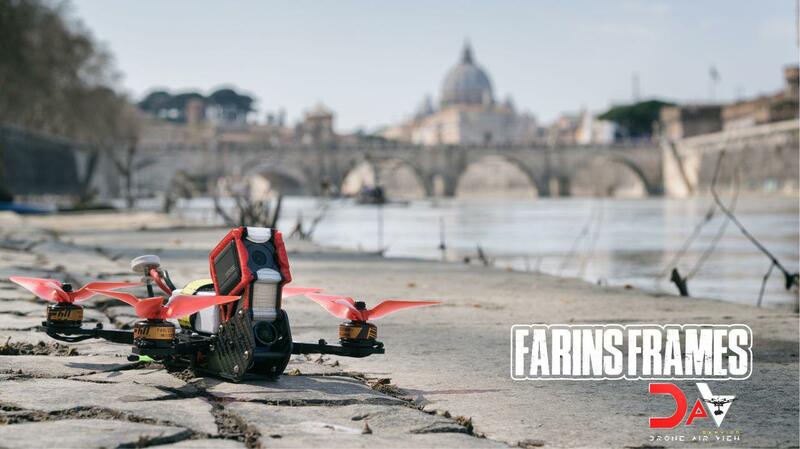 Grazie alla posizione ribassata della batteria, che si trova alla stessa altezza dei motori, il Frog V3 garantisce la perfetta distribuzione del peso, offrendo ai piloti l'esperienza di volo senza eguali rispetto ai concorrenti "tradizionalmente" progettati. Desiderate dimenticarvi del prop wash o vibrazioni a causa di una sbagliata distribuzione del peso? Scegli Frog V3 e dimentica tutto il resto! It’s absolutely amazing. The Buildquality and the design, the material and everything. It’s nice to build and fly’s just amazing! This is my go to all round freestyle, I love it's weight distribution, it's really a step ahead of it counterparts! 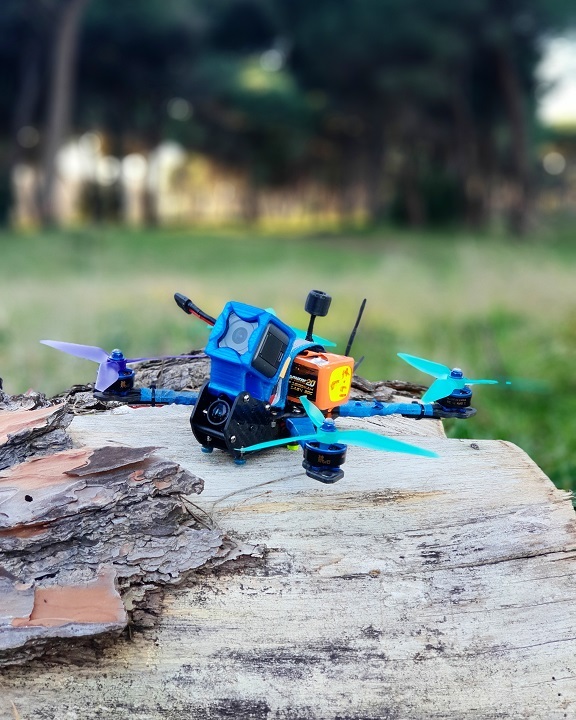 The frame is quite durable but light, so perfect for every flight style. Do yourself a favor and buy a Frog V3, and not the usual Alien-like clone!